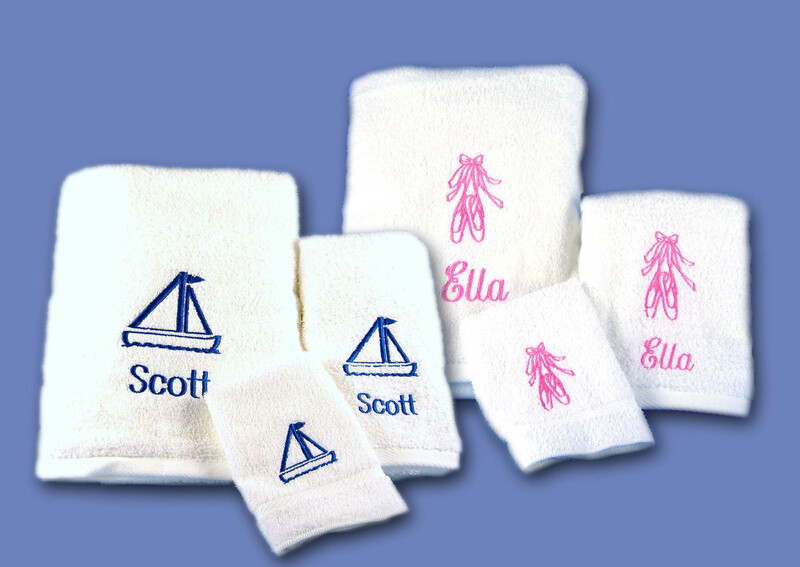 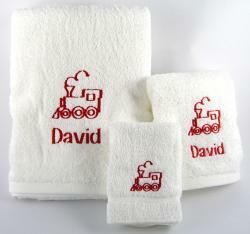 Personalized towels are great gifts for kids and adults, too! Choose a special design to reflect a favorite sport, hobby, or activity. 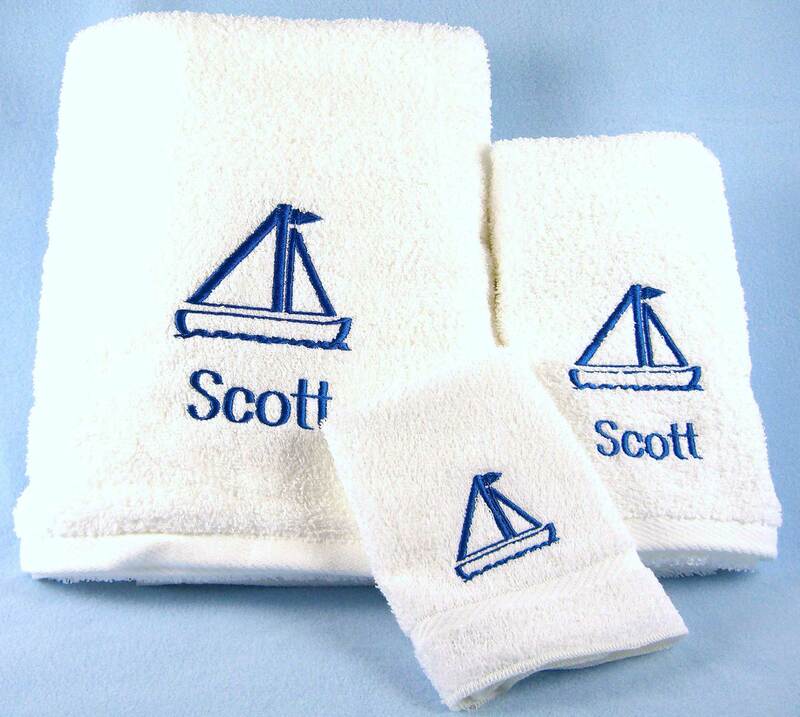 Great for boat owners too - choose a nautical design with the boat name and you've got a great gift! 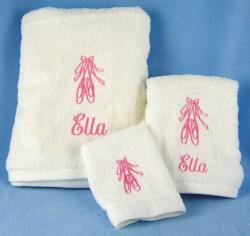 Thirsty, white looped terry towels are embroidered with a first name and design. 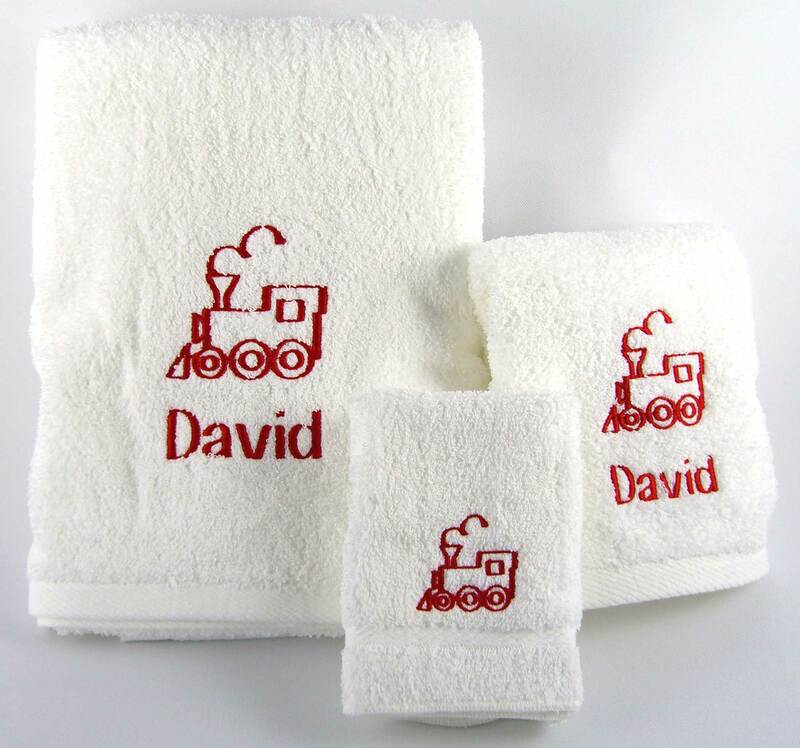 Washcloths come with design only.